Maybe you want to rip DVD to iMac because running the DVD-ROM can often damage your iMac--DVD discs can easily get stuck in your iMac. 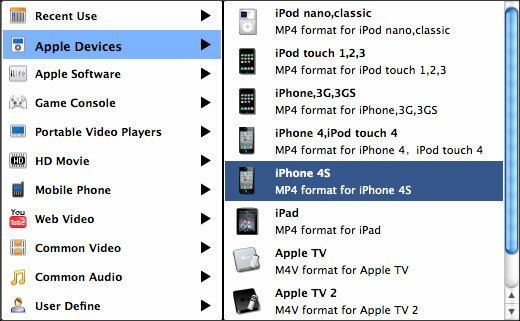 Or maybe you want to transfer DVD files to your iMac and then sync them to your iPhone, iPad, iPod, etc.? No matter why you want to convert DVD to iMac, this is the right place for you to find the solution. To rip DVD movies to your iMac hard drive, you'll need the help of a third-party DVD ripping software compatible with iMac. 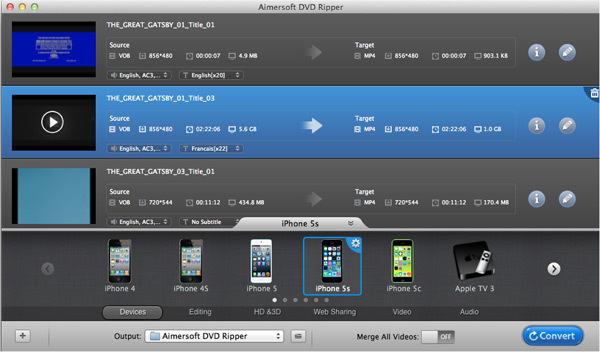 Aimersoft DVD Ripper for Mac is highly recommended to convert both homemade and commercial encrypted DVD movies to iMac friendly MP4, MOV, M4V, and an array of other popular video formats. Now just download the DVD Ripper for iMac and follow the steps to copy DVD movies to iMac effortlessly. How to convert DVD to iMac, iPhone, iPad, iPod, etc. Launch the program, insert the DVD disc to your iMac and go to "File" > "Load DVD" to import DVD files. You can also directly drag and drop DVD files to the app. Click the format thumbnail beside the video clip to choose your preferred video format. As you can see, almost all popular video formats are supported. If you like, you can press the "Options" button right beside the Format column to change the video resolution, bit rate, frame rate and so on. 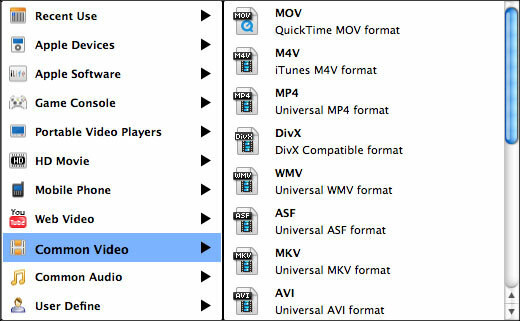 If you want to play the output video files on your iPhone, iPad, iPod, etc., you can just choose the corresponding device as the output format to generate videos with optimized settings for a certain device. Click the "Start" button on the main interface and the app will start the DVD to iMac conversion. When the conversion finishes, the folder that stores the converted video files will open automatically. You can then play the movies on your iMac with iTunes, QuickTime, etc. smoothly. Once I've downloaded them to my mac ….. can i make copies onto dvds too? say i don't want to play the originals in my car …. but i want to play copies so i don't damage the original … is it possible? so from dvd to mac to dvd writable disk? Hi, Emily, just make sure you don't use it for commercial use. Then all is OK.
Hi, Jefferey, if you are using PPC, please contact our support team for the PPC version downloading. The one provided here only works on Intel. This doesn't violate any copyright protection laws as long as I am using it for my own personal use, right? I've read a little bit about it on the internet, but it seems everyone says something different. I have Snow Leopard which runs PPC and Intel applications so I am assuming this will work, but I thought I would ask before downloading. I wanted to transfer Dvd files to my mabook and so far so good. I have not had any trouble. Yeah, it well supports Mac OS X 10.8 Lion. Just download it to convert DVD movies on your iMac. Does it support Mac OS X 10.8 Lion? Thank you for your interest in Aimersoft software. But I am sorry that it doesn't support the latest DVD now. When our product is updated later, it may support that. I am wondering whether it support the latest DVD.